So my fair city of Memphis, Tennessee just came in 2nd. In worst cities for allergies. Imagine my surprise. As I gasp through my watery eyes and itchy throat. And sneeze. Three times in a row. Boo on allergies. But I can endure allergies this time of year. You know why? Cause Memphis ranks #1 in something else – barbecue. We know our barbecue. We take it very seriously. I mean, have you ever had BBQ nachos at a ball game? If not – you just haven’t lived my friend. This is the time of year when outdoor festivals boast tons of delicious food. We have several crawfish festivals. We have a hot wing festival. And of course, there’s Memphis in May World Championship BBQ Cooking Contest, celebrating all the “swine” things in life. Yes, I went there. I had to satisfy my craving for BBQ the other night and needed to do so in healthy way! It was a beautiful weekend – and being a Memphian, I know that nothing goes with beautiful weather like hot BBQ and cold beer. So I whipped up these beauties which are great as an appetizer or for a dinner (since I love eating finger food for dinner!). Heat your oven to 400. 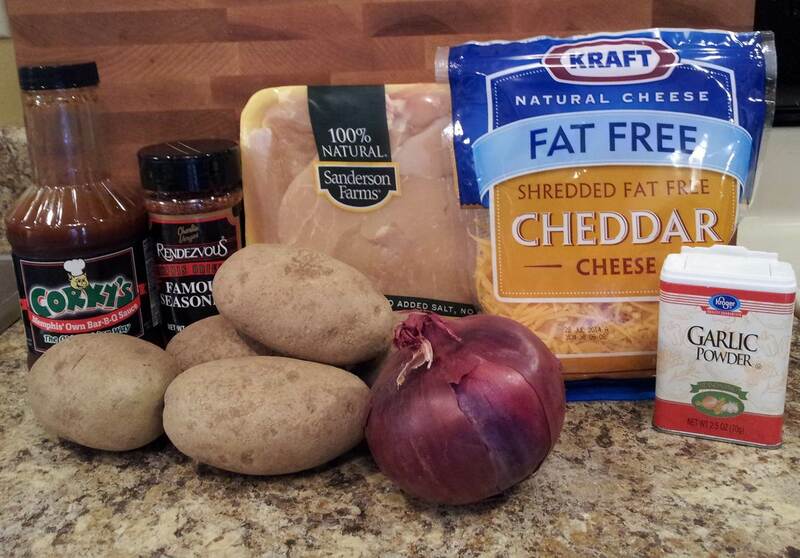 Slice your potatoes in half and scoop out the centers, leaving a thin border around each one. I use a melon baller and throw the extra potato in some water so I can make mashed potatoes later in the week. 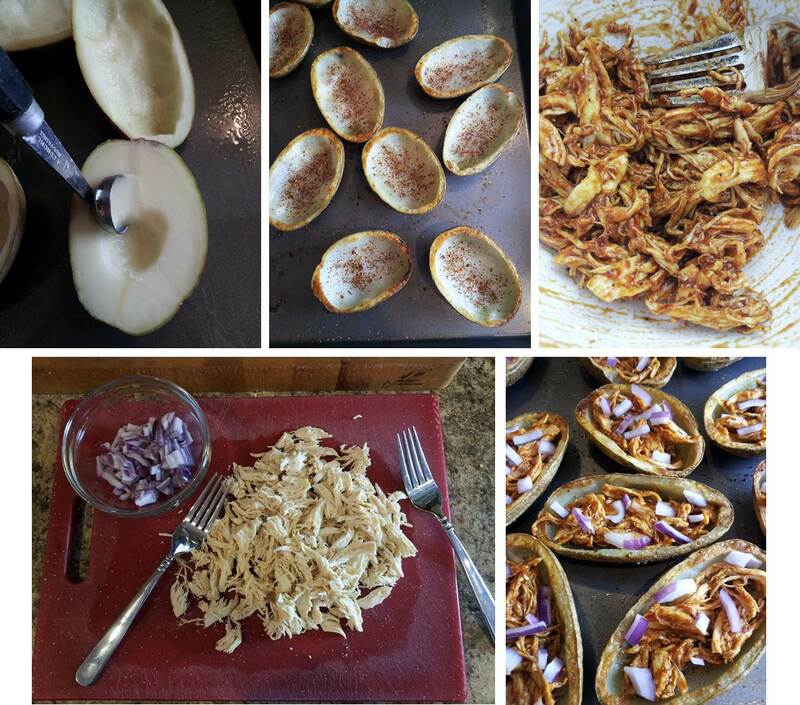 Sprinkle the insides of each potato skin with salt, pepper and some barbecue seasoning. 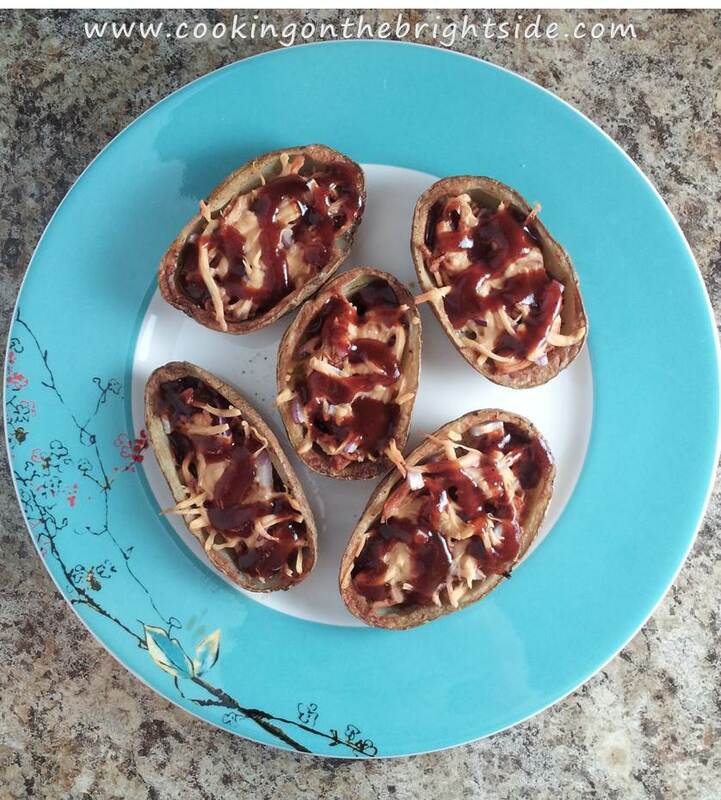 Place the potato skins on a cookie sheet and bake for 10-12 minutes, then flip each one and bake another 10 minutes until “flesh” is tender when pierced with a fork. While the skins are cooking, cook your chicken breast. Allow to cool and then shred. Mix with 3-4 Tbsp. of barbecue sauce and a few dashes of seasoning. 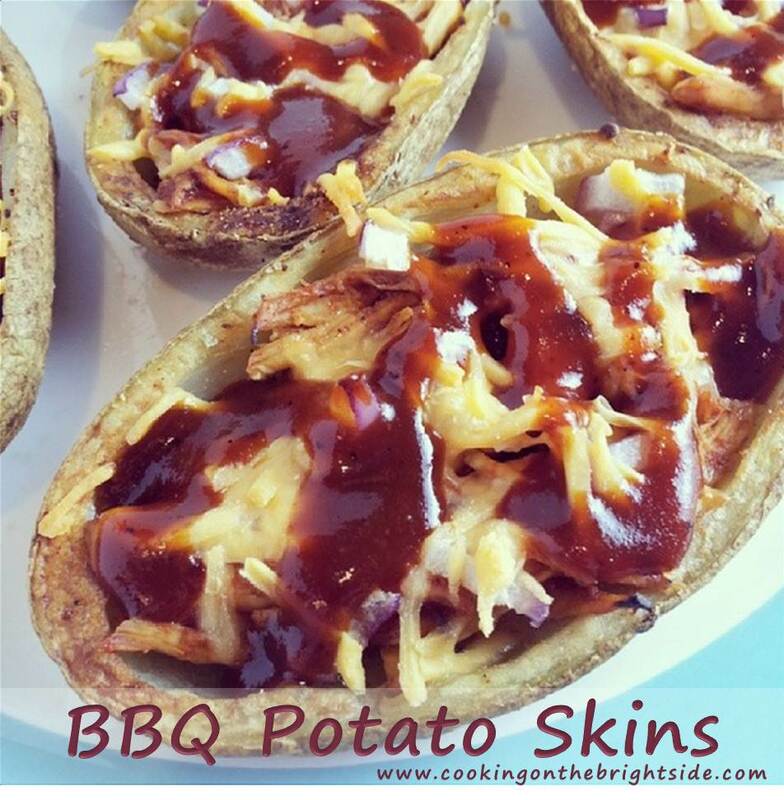 This entry was posted in Appetizers, Bites, Chicken, Main Courses and tagged baked potato skins, barbecue, barbecue potato skins, BBQ potato, BBQ potato skins, low fat potato skins, recipe for potato skins, weight watchers barbecue, weight watchers bbq, weight watchers potato skins by cookingonthebrightside. Bookmark the permalink.